Home » Economics » Would You Be Willing To Pay 60% Tax For a Higher Level of Social Equality? 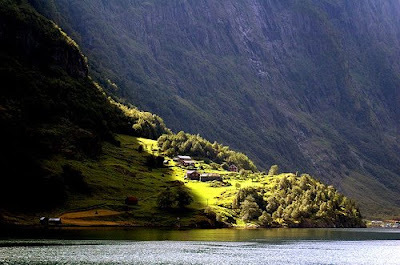 The Scandinavian countries are well known for their high living standards, equal opportunities and overall well being. It comes with a hefty personal financial price which I believe is well worth the investment. The Scandinavian nations: Sweden, Norway, Finland, Denmark and Iceland are well known for their citizens’ well being, overall quality of life and high living standards. These countries have been constantly rated at the top of various top ten lists such as best countries to live in, best education, most content nation and more. The UN has rationally rated Scandinavian counties as some of the “best place(s) to live in” next to Canada, the US and other European countries. The secret of the Scandinavian model has long been sought after by various countries jealously eyeing the Nordic success stories. I believe the secret is pretty straight forward. The question is, are we willing to pay the “price” and adopt similar values as a society? 1. Correct priorities – A correct set of priorities set by the government which in turn is properly translated to budget allocation. 2. Convenient Geopolitics – The gods of geopolitics seem to favor the Scandinavian states offering them little in the way of geopolitical challenges. Since the Second World War I believe no major conflict has taken place on Scandinavian soil. I’ve heard of occasional arm wrestling with the Russians over North Pole territories but not much more. I believe these countries do face challenges in the future, mostly domestic due to increased immigration but still they have it easy (compared to the USA for example, really without going into politics). 3. A more social and less self centered state of mind – from the occasional online chat or acquaintance I’ve received this important impression. I truly believe Scandinavian citizens hold the sacred capitalistic values some of us may hold less dear. I believe they have adopted and are educated to a more thoughtful and social state of mind which creates a better understanding of living in and as a part of society. Each value system holds certain values very dear. More capitalistic countries stress entrepreneurship, ones right to ones properties, monetary success while more social societies stress equality, equal opportunities and a more solid welfare system. As Aristotle wrote the golden path usually lies in the middle. The question is where does this middle lie? The morality of both capitalism and socialism has been debated upon greatly. Each system has its philosophers justifying the principles and values at its core. My personal preference is that all my fellow citizens will be entitled to what have become the basic human rights in modern societies. Among these are healthcare, a home, food, education and most importantly equal opportunities. A lower Gini coefficient indicates more equal income or wealth distribution, while a high Gini coefficient indicates more unequal distribution. I must add that having a low coefficient is obviously not enough as it might simply state most of a certain country’s citizens are poor (China, for example). 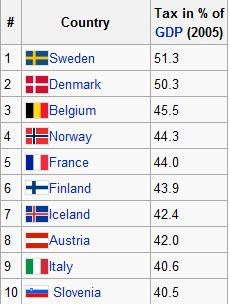 The combination of a low coefficient and high GDP per capita is more prominent in Scandinavia and Europe. The Scandinavian welfare system would be constituted as a wonder in most modern countries. The welfare system is made to take care of the inhabitants of the country “from the cradle to the grave”. Such a strong welfare system guarantees higher social equality and more equal opportunities. Free and full healthcare, hospitalization and immunization as well as old age nursing. Free education and higher education. Long maternity leaves (42 weeks in Norway) with a 100% wage paid for by social security. Additionally the other spouse is entitled to several weeks of leave as well. Generous unemployment compensation and re-training programs. A minimum pension at retirement. Child allowance from the first child. These social security benefits might invite parasitic individuals to live on the country’s expense. This is where active employment policies and education as well as good old shame come into play. If something is unacceptable in a society than certain individual will be outcast for their behavior. Naturally such an extensive social security safety net required high government expenditure. Here are some figures, for example, courtesy of Wikipedia: Sweden and Denmark were in 2004 the countries of the European union where the expenses of the public administrations were the highest, with respectively 57.2% and 56.3%, Finland being a little on this side with 50.7%. The Nordic countries are quite near France (53.8%), a country with an extensive public sector, and very distant from the British model, where taxes and public expenditure in general are much lower, but where people are generally expected to manage more of their own affairs for themselves. Naturally, these expenses must be funded somehow. Norway is relatively rich in oil but generally speaking Scandinavian countries rely on high tax rates for funding the aforementioned social security and public expenditure. Individual tax rates can reach as high as 63% in Denmark, 60% in Sweden and 50% in Norway. VAT is also unusually high at 25% for the aforementioned countries. Ranking countries by tax revenues as a percent of the GDP gives even stronger findings: 5 of the first 7 countries are Scandinavian countries with Sweden in first place with 51.3% and Finland closing the list with 42.4%. The UK is in the 16th place with 37% and the US at the 36th place with 27.3%. Not everyone is willing to make this apparent sacrifice for a higher level of social equality. I’d personally hate to live in a place where my neighbors have a hard time getting the medicine they need. I believe thinking a bit less about ourselves as individuals and investing more in our societies will do all of us a world of good. The Scandinavian states have done so well because of the unique society they have managed to create where social equality is valued while not taken advantage of. This is a delicate balance hard to find and harder to maintain. I’d love to hear your thoughts and comments on this post. I’ve felt especially envious while writing it.